1 - pair/s $8.25 ea. 3 - pair/s $7.25 ea. 6 - pair/s $6.58 ea. 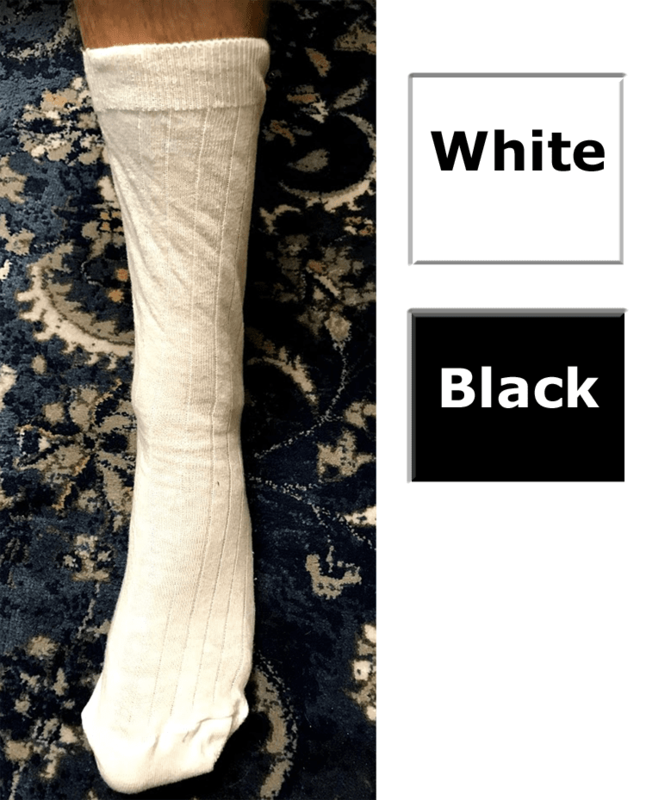 Lightweight Diabetic Care Socks are non-binding, loose 100% cotton diabetic socks in a lighter dress sock weight in English rib for men and ladies (unisex - work well for ladies). 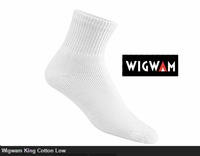 Enjoy these loose lightweight cotton socks for men and women that are loose and won't leave marks at the end of the day. Almost as easy, breezy as summer itself! These Lightweight diabetic socks are for those people who do not need compression and just want a loose cotton sock without any elastic. 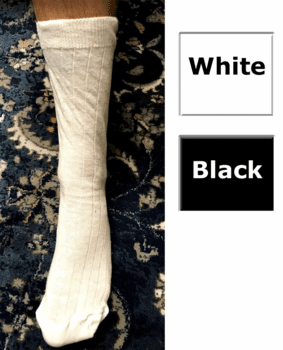 These Men's Socks will fit shoe size 9-10.5 for the Medium/Large size and 12-14 shoe size for the X-Large size (this is our sizing from experience - not the manufacturer's sizing). 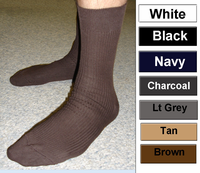 There is a gap for shoe size 11 that neither sock really takes care of in this sock sizing. Quality made in the USA. Machine wash and dry.